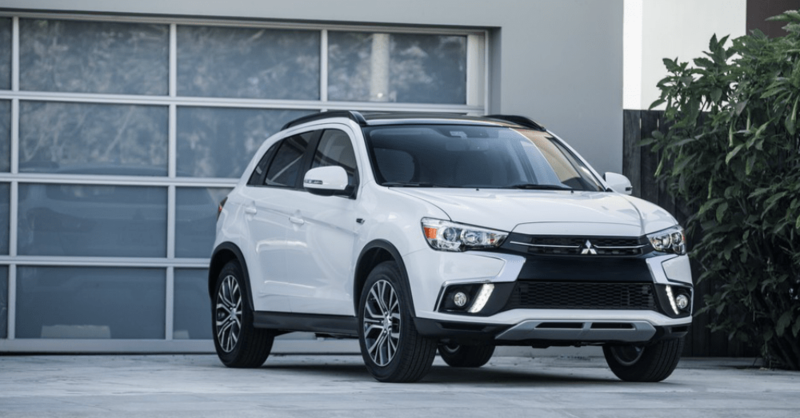 The 2019 Mitsubishi Outlander Sport is an attractive SUV that you’ll easily recognize when you see it on the road. This is a vehicle that gives you the drive you want and the build that makes sense for you. There’s room for five people to ride along and 20 cubic feet of cargo room behind the second row of seats. This SUV is affordable and easy to drive, making it a serious value for you when you take it out on the roads and let it be the one you want to drive. When you start to look at the different trim levels of the Outlander Sport, you’re going to see a variety of safety features that are mentioned. The GT model has forward collision mitigation, lane departure warning, automatic high beams, rear cross traffic alerts, lane change assist, and blind spot warnings. If you choose the base model, the ES trim, you’ll have 18-inch wheels and automatic climate controls while the SE trim gives you a seven-inch smartphone screen, push-button starting, heated seats, and two USB ports. The GT trim does give you HID headlights, collision mitigation, lane departure warning and more for the drive you want to experience. Moving up the trim ladders gives you the chance to have more of the features you want for the drive. You can choose different exterior and interior colors, and a variety of great accessories for the drive. The Popular Equipment Value Package adds wheel locks, front and rear mudguards, a cargo net, and a leather-wrapped shifter, while the Exterior Package gives you a rear spoiler and a rear undercover to give you the added protection you want when you drive on the trails. There are two engines offered for the 2019 Mitsubishi Outlander Sport to give you the drive you’re looking for. The base engine is a 2.0-liter four-cylinder engine that has 148 horsepower and 145 lb.-ft. of torque. This engine is attached to either a five-speed manual or a CVT automatic transmission for the drive. The GT trim uses a 2.4-liter four-cylinder engine that makes 168 horsepower and 167 lb.-ft. of torque that’s attached to a CVT automatic transmission for the drive you’re looking for when you take a ride. Head out to your nearby Mitsubishi dealership and choose the right trim of the 2019 Mitsubishi Outlander Sport to give you the drive you want to enjoy on the road every day. This dealership team can help you have the right vehicle for your drive and they can let you take a test drive that will let you understand how this SUV can be the one you want to enjoy on the road. Get behind the wheel and learn how the Outlander Sport will be the right model for you to drive every day. Looking for something slightly different? Opt for the Mitsubishi Mirage.